The all new S2Maui Wicked 2-cam Freerace sail is a direct descendant of our ultimate performance Venom race sail, but in a more forgiving package. 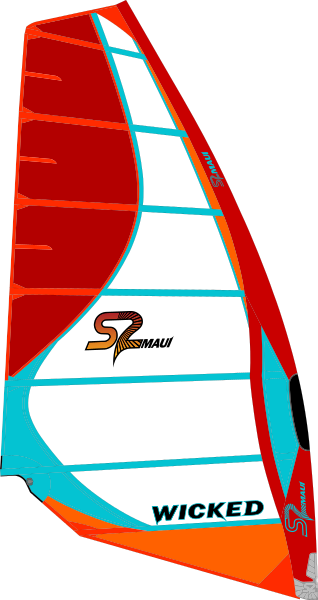 7 battens which include carbon tubes, make for an incredibly light, stable and eficient freerace sail with blazing speed. 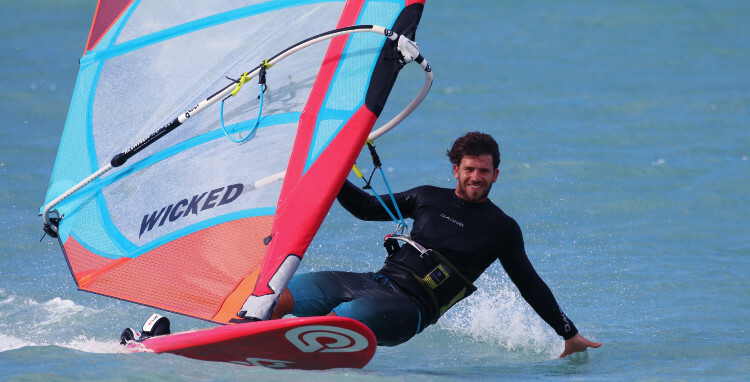 SpaceLight™ construction makes the Wicked one of the lightest production Freerace sails available. Slightly softer overall tension and cam pressure ensure effortless rotation and excellent control with a light feel. A moderate width sleeve at the 2 cambers locks the profile. Above and below the cambers, the sleeve quickly tapers to a narrower width to reduce water retention and save weight. Progressive leech twist profile modeled after Venom for maximum eficiency, speed and acceleration.